Inaugurated on March 4, 1797 as the Second President of the United States under the U.S. Constitution of 1787. Immediately on reaching home Mr. Adams was chosen delegate from Braintree to the convention for framing a new constitution for Massachusetts; but before the work of the convention was finished he was appointed commissioner to treat for peace with Great Britain, and sailed for France in the same French frigate in which he had come home. But Lord North's government was not ready to make peace, and, moreover, Count Vergennes contrived to prevent Adams from making any official communication to Great Britain of the extent of his powers. 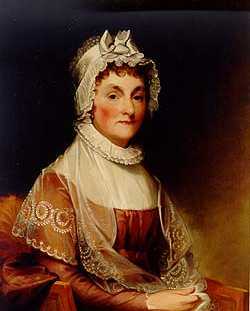 During Adams's stay in Paris a mutual dislike and distrust grew up between himself and Vergennes. The latter feared that if negotiations were to begin between the British government and the United States, they might lead to a reconciliation and reunion of the two branches of the English race, and thus ward off that decadence of England for which France was so eagerly hoping° On the other hand, Adams quite correctly believed that it was the intention of Vergennes to sacrifice the interests of the Americans, especially as concerned with the Newfoundland fisheries and the territory between the Alleghenies and the Mississippi, in favor of Spain, with which country France was then in close alliance. Americans must always owe a debt of gratitude to Mr. Adams for the clear-sightedness with which he thus read the designs of Vergennes and estimated at its true value the entirely selfish intervention of France in behalf of the United States. This clearness of insight was soon to bear good fruit in the management of the treaty of 1783. For the present, Adams found himself uncomfortable in Paris, as his too ready tongue wrought unpleasantness both with Vergennes and with Franklin, who was too much under the French minister's influence. 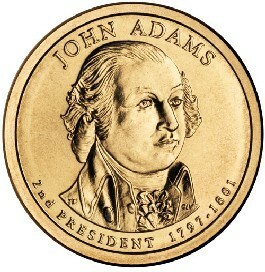 On his first arrival in Paris, society there had been greatly excited about him, as it was supposed that he was"the famous Mr. Adams" who had ordered the British troops out of Boston in March 1770, and had thrown down the glove of defiance to George III on the great day of the Boston tea party. When he explained that he was only a cousin of that grand and picturesque personage, he found that fashionable society thenceforth took less interest in him. In the summer of 1780 Mr. Adams was charged by congress with the business of negotiating a Dutch loan. In order to give the good people of Holland some correct ideas as to American affairs, He published a number of articles in the Leyden"Gazette" and in a magazine entitled "La politique hollandaisc"; also" Twenty-six Letters upon Interesting Subjects respecting the Revolution in America," now reprinted in the 7th volume of his works. Soon after Adams's arrival in Holland, England declared war against the Dutch, ostensibly because of a proposed treaty of commerce with the United States in which the burgomaster of Amsterdam was implicated with Henry Laurens, but really because Holland had joined the league headed by the empress Catharine of Russia, designed to protect the commerce of neutral nations and known as the armed neutrality. Laurens had been sent out by congress as minister to Holland; but, as he had been captured by a British cruiser and taken to the tower of London, Mr. Adams was appointed minister in his place. His first duty was to sign, as representing the United States, the articles of the armed neutrality. Before he had got any further, indeed before he had been recognized as minister by the Dutch government, he was called back to Paris, in July 1781, in order to be ready to enter upon negotiations for peace with the British government. Mr. Adams lost not a moment in starting for Holland, but he was delayed by a succession of terrible storms on the German ocean, and it was only after fifty-four days of difficulty and danger that he reached Amsterdam. The bankers had contrived to keep the drafts from going to protest, but news of the bickering between the thirteen states had reached Holland. It was believed that the new nation was going to pieces, and the regency of Amsterdam had no money to lend it. The promise of the American government was not regarded as valid security for a sum equivalent to about $300,000. 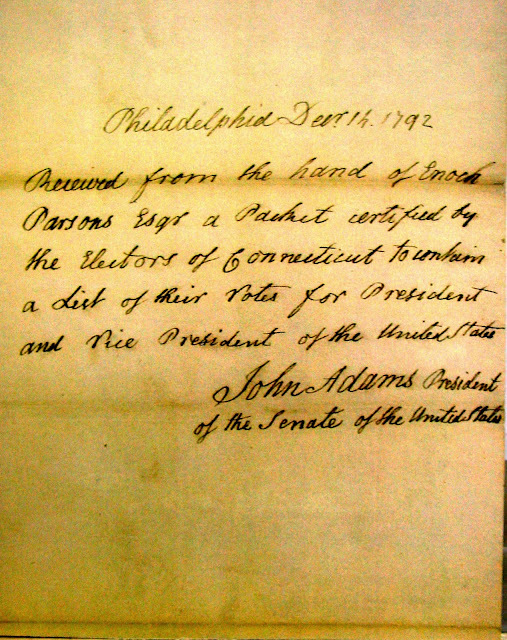 Adams was obliged to apply to professional usurers, from whom, after more humiliating perplexity, he succeeded in obtaining a loan at exorbitant interest. 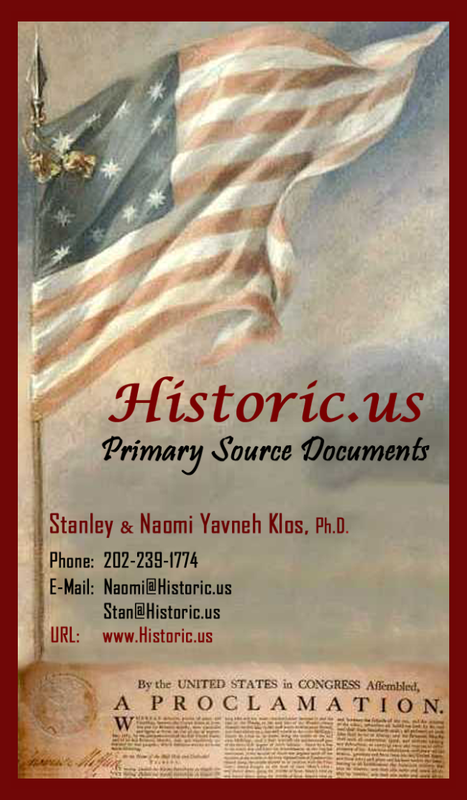 In the meantime he had been appointed commissioner, along with Franklin and Jefferson, for the general purpose of negotiating commercial treaties with foreign powers. As his return to America was thus indefinitely postponed, he sent for his wife, with their only daughter and youngest son, to come and join him in France, where the two elder sons were already with him. In the summer of 1784 the family was thus reunited, and began house-keeping at Auteuil, near Paris. 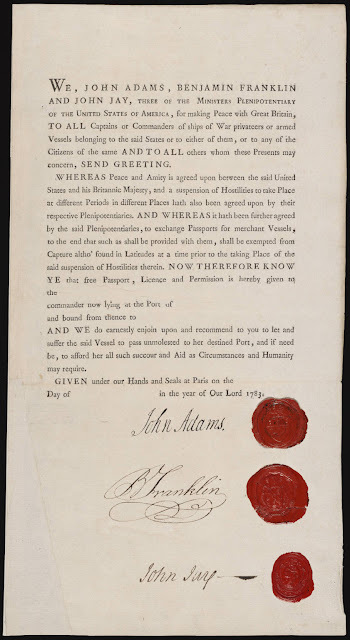 A treaty was successfully negotiated with Prussia, but, before it was ready to be signed, Mr. Adams was appointed minister to the court of St. James, and arrived in London in May 1785. He was at first politely received byGeorge III., upon whom his bluff and fearless dignity of manner made a considerable impression. His stay in England was, however, far from pleasant. The king came to treat him with coldness, sometimes with rudeness, and the royal example was followed by fashionable society. The American government was losing credit at home and abroad. 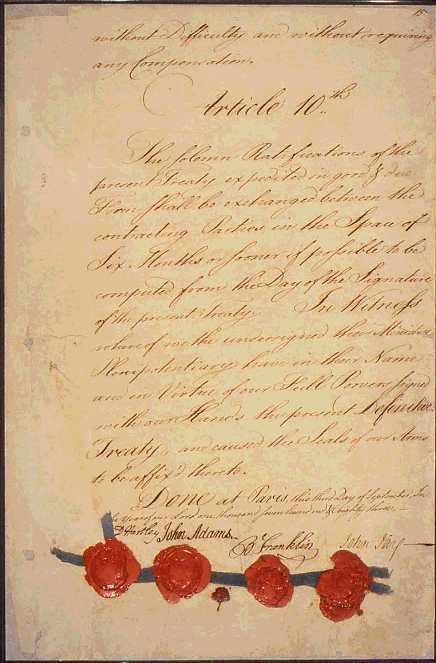 It was unable to fulfill its treaty engagements as to the payment of private debts due to British creditors, and as to the protection of the loyalists. The British government, in retaliation, refused to surrender the western posts of Ogdensburg, Oswego, Niagara, Erie, Sandusky, Detroit, and Mackinaw, which by the treaty were to be promptly given up to the United States. Still more, it refused to make any treaty of commerce with the United States and neglected to send any minister to represent Great Britain in this country, it was generally supposed in Europe that the American government would presently come to an end in general anarchy and bloodshed; and it was believed by George III and the narrow minded politicians, such as Lord Sheffield, upon whose cooperation he relied, that, if sufficient obstacles could be thrown in the way of American commerce to cause serious distress in this country, the United States would repent of their independence and come straggling back, one after another, to their old allegiance. 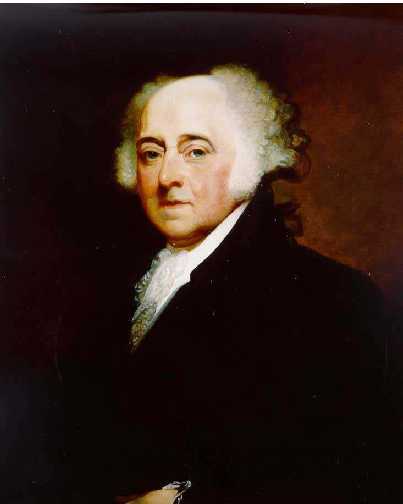 At the same time John Adams differed from Jefferson and from his cousin, Samuel Adams, in distrusting the Massachusetts. All the federalist leaders shared this feeling more or less, and it presently became the chief source of weakness to the party. The disagreement between John Adams and Jefferson was first brought into prominence by the breaking out of the French revolution. Mr. Adams expected little or no good from this movement, which was like the American movement in no respect whatever except in being called a revolution. He set forth his views on this subject in his"Discourses on Davila," which were published in a Philadelphia newspaper. Taking as his text Davila's history of the civil wars in France in the 16th century. he argued powerfully that a pure democracy was not the best form of government, but that a certain mixture of the aristocratic and monarchical elements was necessary to the permanent maintenance of free government. Such a mixture really exists in the constitution of the United States, and, in the opinion of many able thinkers, constitutes its peculiar excellence and the best guarantee of its stability. These views gave great umbrage to the extreme democrats, and in the election of 1792 they set up George Clinton, of New York, as a rival candidate for the vice-presidency; but when the votes were counted Adams had 77, Clinton 50, Jefferson 4, and Aaron Burr 1. In 1796, as Washington refused to serve for a third term, John Adams seemed clearly marked out as federalist candidate for the succession. Hamilton and Jay were in a certain sense his rivals; but Jay was for the moment unpopular because of the famous treaty that he had lately negotiated with England, and Hamilton, although the ablest man in the federalist party, was still not so conspicuous in the eyes of the Massachusetts's voters as Adams, who besides was surer than any one else of the indispensable New England vote. Having decided upon Adams as first candidate, it seemed desirable to take the other from a southern state, and the choice fell upon Thomas Pinckney, of South Carolina, a younger brother ofCharles Cotesworth Pinckney. The December 14th, 1792, official acknowledgement that Adams himself, a candidate for Vice President, has received a tally of Connecticut's votes in the second Presidential elections held under the Constitution of 1787: a vote which resulted in the re-election of Washington and Adams. Washington's popularity had diminished little since 1789: Adams, on the other hand, had alienated many of the Jeffersonians and there was a concerted behind-the-scenes campaign to replace him with George Clinton of New York. - Image courtesy of the Rebels With a Cause Collection. As a writer of English, John Adams in many respects surpassed all his American contemporaries; his style was crisp, pungent, and vivacious. In person he was of middle height, vigorous, florid, and somewhat corpulent, quite like the typical John Bull. He was always truthful and outspoken, often vehement and brusque. Vanity and loquacity, as he freely admitted, were his chief foibles. Without being quarrelsome, he had little or none of the tact that avoids quarrels; but he harbored no malice, and his anger, though violent, was short-lived. Among American public men there has been none more upright and honorable. He lived to see his son president of the United States, and died on the fiftieth anniversary of the declaration of independence and in the ninety-first year of his age. His last words were, "Thomas Jefferson still survives. "But by a remarkable coincidence, Jefferson had died a few hours earlier the same day. 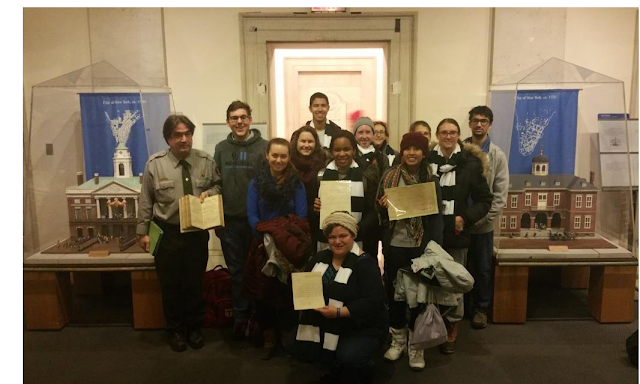 See "Life and Works of John Adams," by C. F. Adams (10 vols., Boston, 1850-'56); "Life of John Adams," by J. Q. and C. F. Adams (2 vols., Philadelphia, 1871) ; and "John Adams," by J. T. Morse, Jr. (Boston, 1885). The portrait that forms the frontispiece of this volume is from a painting by Gilbert Stuart, which was executed while Mr. Adams was president.